It seemed like a surefire hit: a Star Wars take on Uncharted, published by Electronic Arts and developed by the long-running studio Visceral Games. But nothing is sure in the video game industry, and on 17 October 2017, when employees of Visceral were told that the company would be closing, some who had worked for the studio found themselves unsurprised. In many people’s eyes, doom was inevitable. Around the same time, under the iconic director Amy Hennig, who was best known for writing and directing the first three Uncharted games, Visceral launched a project called Ragtag. This was meant to be EA’s entry into the action-adventure market—a linear Star Wars story set between the episode IV and V movies that would compete with the likes of Uncharted and Tomb Raider. The demos weren’t enough. Former Visceral employees don’t know when EA made the decision to shut down their studio, but on 17 October 2017, it became official. Visceral, which employed around 80 people, was no more. Staff say they were given three weeks to put together portfolios and look for other employment, both in and outside of EA. But the story behind Ragtag is more complicated than critics and pundits have assumed, and the project was more troubled than EA has admitted publicly. Among game developers, it’s been an open secret for months that Visceral’s game was in danger. The studio had been bleeding staff for years, and recruiters across the video game industry exchanged whispers about Visceral employees who were looking for new work, according to several people who have shared these rumours with me over the past couple of years. Over the past week I’ve talked to nearly a dozen former Visceral employees who worked on Ragtag, all of whom spoke anonymously because they did not want to risk damaging their careers. I’ve also spoken to several other developers who are tangentially connected to Visceral. They all share similar stories. Ragtag was a project sunk by many factors, including a lack of resources, a vision that was too ambitious for its budget, a difficult game engine, a director who clashed with staff, a studio located in one of the most expensive cities in the world, a reputation for toxicity, multiple conflicts between Visceral and EA, and what can only be described as the curse of Star Wars. If you wanted to pinpoint the exact moment that Visceral Games became doomed, you’d need to go back to the beginning of 2013. On 5 February of that year, Visceral released what would turn out to be its last Dead Space game, Dead Space 3. The third Dead Space disappointed many fans, and it was a commercial flop for EA, failing to hit the company’s lofty sales expectations. “Dead Space 3 came in below our forecast,” an EA executive said during an earnings call in May 2013. The company did not give out specific numbers, but by some estimates, a Dead Space game would have needed to sell five million copies just to break even. It became clear then that EA no longer had much appetite to make expensive games that people would only play once. 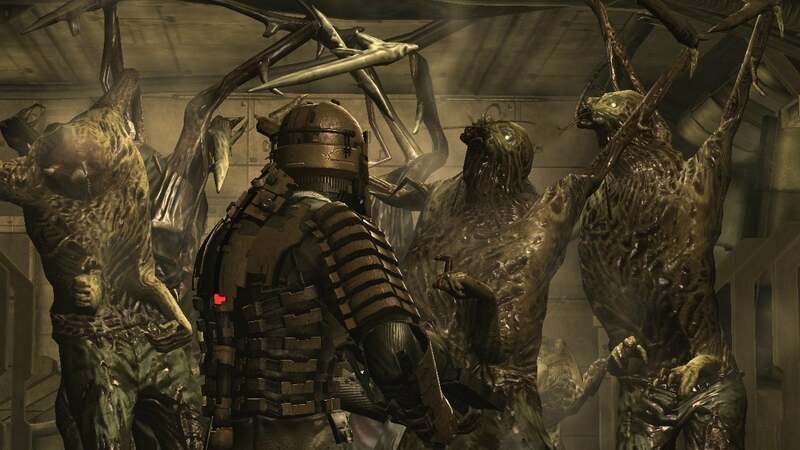 Rather than allowing Visceral to make a fourth Dead Space, EA entrusted the studio with a new game in its huge Battlefield franchise, which was mainly popular because of its multiplayer component. The idea of moving from third-person action games to a first-person shooter was unappealing to many at Visceral, but management saw it as the only way to keep their studio afloat, according to two people familiar with the company’s thinking. Then, 30 miles north of Visceral, the video game world shifted. On 3 April 2013, Disney shut down LucasArts, cancelling the highly anticipated Star Wars 1313 and firing all of the studio’s staff. That same week, as I reported in my recent book Blood, Sweat, and Pixels, a contingent of LucasArts leads went to Visceral to pitch them on hiring key employees and taking over production of Star Wars 1313. Visceral GM Steve Papoutsis turned them down, instead offering to hire some ex-LucasArts staff for Visceral’s own projects. A month later, in May 2013, the picture became clearer as EA announced that it had struck a deal with Disney, snagging the exclusive rights to release Star Wars games on consoles (not counting “casual” games, like the Lego series). In that announcement, EA said that it would develop Star Wars games in three studios: BioWare (Star Wars: The Old Republic), DICE (Star Wars Battlefront), and Visceral, whose project remained a mystery. This was bad news for the pirate game. EA, nervous about the upcoming Assassin’s Creed: Black Flag that was coming from rival publisher Ubisoft in late 2013 and eager to take advantage of the Star Wars deal, canceled Jamaica in favor of a new Star Wars game. Visceral called this project Yuma, after the Arizona desert where Jabba’s Palace had been filmed in Star Wars VI: Return of the Jedi. The team decided to keep the pirates, but bring them to outer space, pitching Yuma as a “space scoundrel” game in which players could explore the galaxy as a Han Solo-like rogue. “It was going to be some hybrid between a linear action shooter, where if you’re on the ground it’s Tomb Raider-like, but then in space it’s gonna be Black Flag,” said one person who worked on the project. Added a second: “You flew your Millennium Falcon-esque ship around, boarded other ships, raided pirates, got booty, and that kind of thing." At least they had Amy Hennig. Hennig, a well-known director with a sailor’s mouth and a head for storytelling, had joined Visceral while it was midway through Battlefield Hardline. She had worked in video games since the 1980s but was known best for Uncharted, the high-octane action-adventure series she had helmed until an ugly quarrel with others at her studio, Naughty Dog, in early 2014 that led to her leaving in the middle of production on Uncharted 4. Fans and industry observers spent weeks speculating about what she might do next, and in April 2014, she announced that she was joining EA and Visceral to make a Star Wars game. At first, Hennig didn’t get to work on Star Wars for very long. She was pulled on to Battlefield Hardline for a few months to help with scripts and cutscenes, according to three sources. When she did start figuring out her next project, at the end of 2014, it became clear that Yuma wasn’t going to happen. Hennig wasn’t interested in making an open-world space game; she wanted to write a linear action-adventure game, like Uncharted. They’d keep the idea of scoundrels in space, but for this new project, Hennig wanted to tell a heist story. Star Wars meets Ocean’s Eleven. Soon it had a new codename: Ragtag. In order to distinguish Ragtag from Uncharted, a point that EA’s executives felt strongly about, Hennig and her team came up with some lofty ideas for gameplay. You’d play as multiple members of the team, and each would have their own AI minds and abilities when you weren’t controlling them. There were no Jedi powers, but one big theme was “sabotage”—you’d be able to manipulate the environment to distract and divert enemies in non-violent ways. It would take a lot more people to create that Star Wars magic, though. By one estimate, the Ragtag team only had around 30 people as they entered pre-production in mid-2015. The plan was for the Hardline DLC team to join them later, but even that would be too small—Visceral had fewer than 100 employees. When Hennig and her team looked at comparable games—Uncharted 4, Tomb Raider, etc.—they’d see production staffs in the 200s. Of course, it wouldn’t be Star Wars if everything went according to plan. Before entering development on a big-budget game, the people in charge will often put together a list of risks they’ve flagged—problems that they anticipate might emerge over the course of production. In an ideal world, developers will identify and solve these problems before they even pop up. Of course, most game productions don’t live in an ideal world. And Ragtag had a lot of flags. There was the engine, Frostbite, which had never been used to make a third-person action-adventure game. In the video game world, an “engine” is a collection of code that is reused across games, often including basic, boring features like physics simulators, graphics renderers, and animation systems. For the past half-decade, EA has mandated that all of its studios use the Frostbite engine, which was designed by the EA studio DICE in Sweden to make Battlefield games. Uncharted 1, written and directed by Amy Hennig, was one of Sony’s premier games on the PlayStation 3. Another red flag was Star Wars—or, more specifically, the fact that Star Wars was owned by a different company. Visceral staff say that the creative cabal at Star Wars owner Lucasfilm treated them well, giving them flexibility and freedom, but one of the drawbacks to working with another company’s franchise was that they had to get approval for everything. Perhaps the biggest red flag was the tension between Visceral and EA. Game developers and publishers have always butted heads—creatives vs. money guys; you know the drill—but on Ragtag there were two particular arguments that remained contentious from 2014 all the way until the studio shut down. Argument #1: How much Star Wars should there be? With Ragtag, Hennig and crew were planning on making a gritty game about scoundrels and criminals. They had Lucasfilm’s blessing to tell a story about new characters, with no Sith or midichlorians or members of the Skywalker clan. But when EA’s executives thought of Star Wars, they thought of robed Jedi using powers of the Force, not mob families. Argument #2: What, exactly, was the game they were making? Several Visceral employees recalled getting constant questions from EA executives like Jade Raymond about what Ragtag’s big innovation was. The thought was that in order to compete with the likes of Uncharted 4, Visceral’s game needed to have a strong hook. To many on the team, that premise seemed absurd. They were starting from scratch on a brand new game, the first game like this that most of them had made, and EA wanted them to compete with Naughty Dog? Visceral hadn’t even made their own version of Uncharted 1, yet their game was supposed to be better than Uncharted 4? Of course, one pivotal person on the team did have experience making games like Uncharted: Amy Hennig. 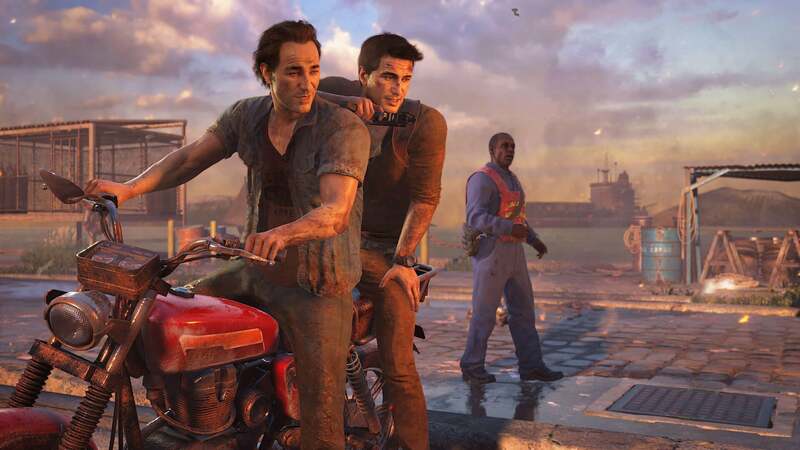 When Hennig joined Visceral, she had been midway through production on Uncharted 4, and before that, she’d spent nearly a decade with Nathan Drake as creative director of the first three Uncharted games. 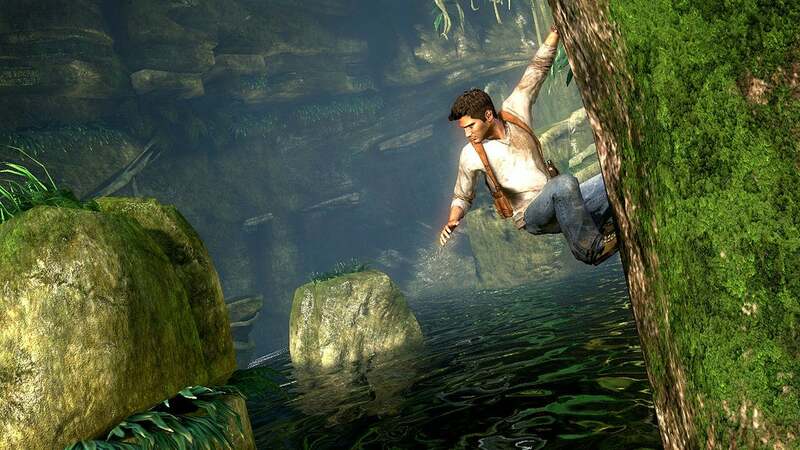 No name was more associated with Uncharted than Hennig’s, and few people in the world had as much experience making linear action-adventure games. People at Visceral say they were hopeful that Hennig would mentor them and help them make something awesome. Then the problems started. Throughout 2015 and then the rest of development, Hennig began clashing with others at Visceral, particularly the design team, according to all of the staff who spoke to me for this story. Designers described Hennig as a brilliant writer and story-teller who was spread too thin on Ragtag. Because she wanted to direct every aspect of the game, and many decisions had to run through her, it became difficult for Visceral staff to get her attention. She would work long hours and weekends, but she also spent a great deal of time flying down to Los Angeles to record with actors. Some told anecdotes about waiting weeks or months just to get her approval on something they’d done, only to find out that it didn’t meet her standards. When reached by Kotaku, Hennig said she was not authorised to comment without approval from EA. Some have suggested that she was put in a difficult position. As one former Visceral employee pointed out, Hennig may have had a hard time trusting a team that had no experience working on games like Uncharted, which made her feel compelled to have her hands in everything. Visceral’s flattened structure was brand new, and its employees were not accustomed to having this much autonomy, which may have been frustrating to Hennig. “You’re not gonna make a Naughty Dog-like game without people who are behaving in a way that’s nimble and autonomous and initiative-taking,” said one person close to the studio. All of these tensions led to a slow, difficult 2015 for Ragtag, but there was hope at Visceral that progress would improve once they got more people. And they’d get more people once EA had established its new studio in Montreal, Motive, which was specifically hiring for development on Ragtag and even briefly started helping out on the project in small ways, according to three people familiar with goings-on there. Star Wars is never easy. 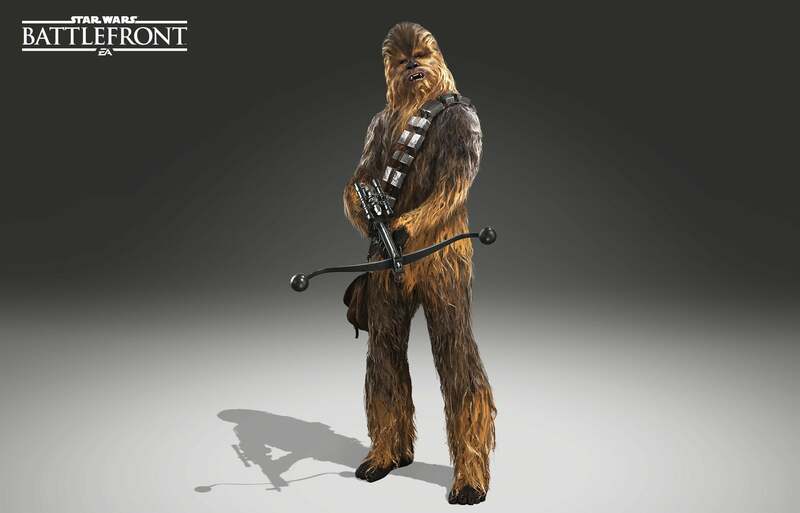 On 17 November 2015, EA released the much-anticipated Star Wars Battlefront, the first Star Wars game to be released after LucasArts’ demise. Battlefront was a massive success, shipping 13 million copies by the end of 2015, but fans and reviewers criticised it for lacking content, and most crucially, for not including the single-player campaign that people had wanted to see from a new Star Wars game. It’s not clear when or why EA’s executives decided to pivot, and EA declined to specify, but by the beginning of 2016, Motive was no longer going to help Visceral. Staff who had been interviewing to work on Amy Hennig’s Star Wars game were told that they no longer had positions there, according to two sources. Instead, EA put the young studio in charge of the single-player campaign for Battlefront II, scheduled for autumn 2017. That meant Ragtag was screwed. 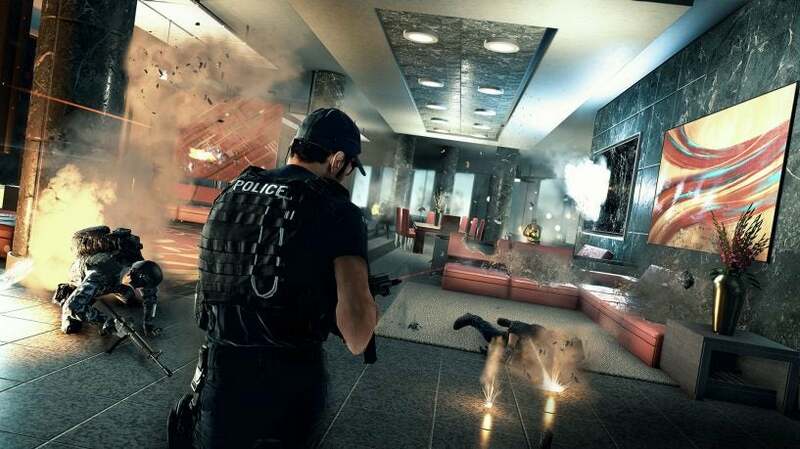 Throughout 2015 the team had consisted of around 30 people, with another 40 or so planned to join once they’d shipped the DLC for Battlefield Hardline. But in order to make an Uncharted-style game of the size and scope that EA wanted, Visceral would need many more developers. “We didn’t have a plan to make this game without a 160-person team,” said one former Visceral employee. The team had accomplished a few cool things so far. They’d built a traversal system for Dodger and his partners, and at least graphically, their work was looking great. At E3 2016, Visceral showed off a short clip from Ragtag, part of a larger demo that the team had been developing. The demo looked phenomenal, sources said—Hennig had insisted on getting the best technology possible, and they were working both with Lucasfilm’s ILM and Sony’s studio in San Diego to create gorgeous lighting and effects. In the clip, we see the protagonist Dodger exit the cantina on Tatooine, brushing his arm against the door as he leaves. Up at EA Vancouver, the publisher had just cancelled a Plants vs. Zombie game and had a team free to help out on Ragtag, according to people who were on the team then. This new group would join development at the beginning of 2017 and add some muscle to Visceral. By now the project had been delayed to December 2018, which gave both studios a solid two years to finish. Finally, there was reason to be optimistic again. Wasn’t there? Back in 2015, after shipping Battlefield Hardline, Visceral had flattened its structure in an attempt to boost morale and do things more nimbly. When EA Vancouver came along, that idea went out the window, according to a former employee. Suddenly there were producers and development directors and other layers of management that Visceral had been attempting to avoid. People at EA Vancouver were happy with their processes—they liked having a managerial structure—but almost immediately, this led to a clash of cultures. One person who worked on the game said EA Vancouver was “horrified” by how little progress Visceral had made on Ragtag. Some on the team theorised that EA was trying to wrest control of Ragtag away from Hennig, but the merger just made a messy situation messier. There were even more clashes, as EA Vancouver would propose ideas for gadgets similar to those in Rocksteady’s hit Batman Arkham games that the characters could use in addition to shooting and climbing. Hennig pushed back against these ideas, according to two people who worked on the game. She didn’t want to turn Dodger into the gadget guy. Tension aside, with the extra people, it finally felt to the Ragtag team like they were making some progress. Throughout 2017, developers at both Visceral and EA Vancouver worked hard on that “sampler platter” that they hoped would both serve as a target for their own team and show EA’s executives what they were capable of doing. There was the AT-ST chase, the Tatooine shootout, the descent into Jabba’s palace. But both teams were also battling over fundamental features, like the cover system, which two sources said became a point of contention over the entire development of Ragtag. At EA, video game projects go through a set of milestones that the publisher calls gates—opportunities for EA’s executives to come see what a studio has been doing. Failing a gate could lead to delays, resource shifts, or even cancellations. By April 2017, Ragtag was up to Gate 3. 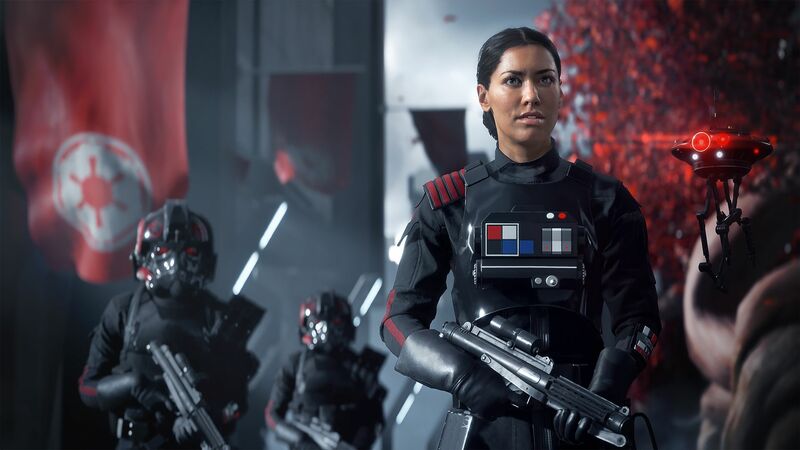 EA executive vice president Patrick Söderlund gave them the greenlight, two sources said, but said he wanted to do another check-in after six months, calling it Gate 3.5. The team crunched hard on those demos for Gate 3.5, which landed in the middle of October. There’s confusion on the exact timing here—and EA declined to get into specifics—but in the days after coming to see Gate 3.5, EA’s executives made it official. After nearly two decades, Visceral’s time in the video game industry was coming to an end. Amy Hennig’s project would be cancelled, too. While there are dozens of perspectives on whether or not EA’s decision to axe the studio was justified, many who worked at the studio say they couldn’t see this ending any other way. Perhaps it was inevitable that, in 2017, a game like Ragtag wouldn’t be possible at a publisher like EA. It was too big, too expensive, and too risky. Seeing it to completion might have cost $100 million (£76.2 million), by one person’s estimate, which was a huge investment for a game that people might play just once and then trade into GameStop, costing EA a sale. “Ultimately, the idea of doing a game of this scope, this expense, this fidelity, at this studio never made sense,” said a former Visceral staffer. Since the closure, EA has given Visceral’s staff the opportunity to look for other positions within the publisher, which many have taken. Some have found new jobs at other studios across the industry, and a Twitter hashtag last week helped people connect to new gigs. Meanwhile, EA Vancouver is essentially starting from scratch on their own Star Wars game, as the publisher announced when it said Visceral was closing. In some ways things are coming full circle. Back in 2014, EA cancelled the open-world Star Wars game Yuma to make a linear action-adventure; now, in 2017, EA has cancelled its linear action-adventure to make an open world Star Wars game. There’s no official word on Hennig’s next move. 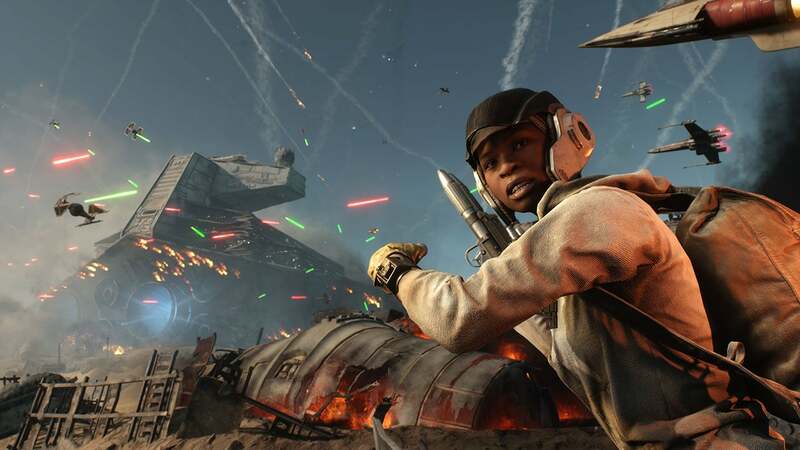 With Ragtag, Amy Hennig and Visceral set out to make something that fans wanted—a proper single-player Star Wars game the likes of which we haven’t seen for nearly a decade. Like 1313 before it, things didn’t work out. It’s starting to look like a pattern that will require Star Wars fans to do something they’re asked to do a lot: Wait. Maybe things’ll finally work out next time.